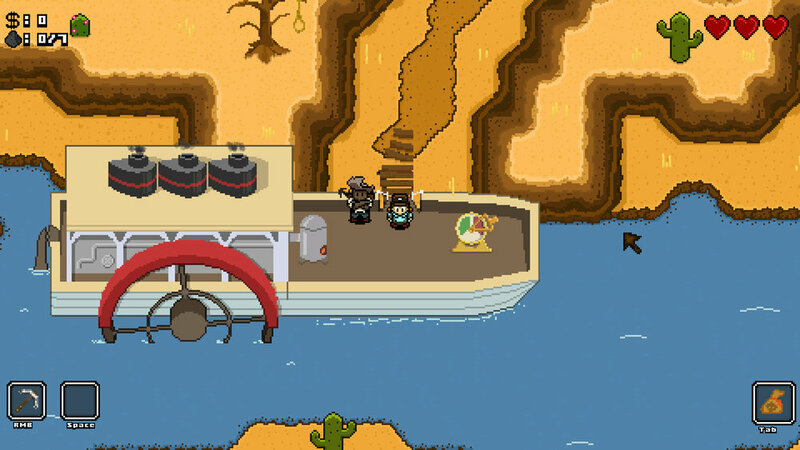 In Riverboat Miner you join in the gold rush. Travel up-stream on a riverboat in search of riches and fortune. 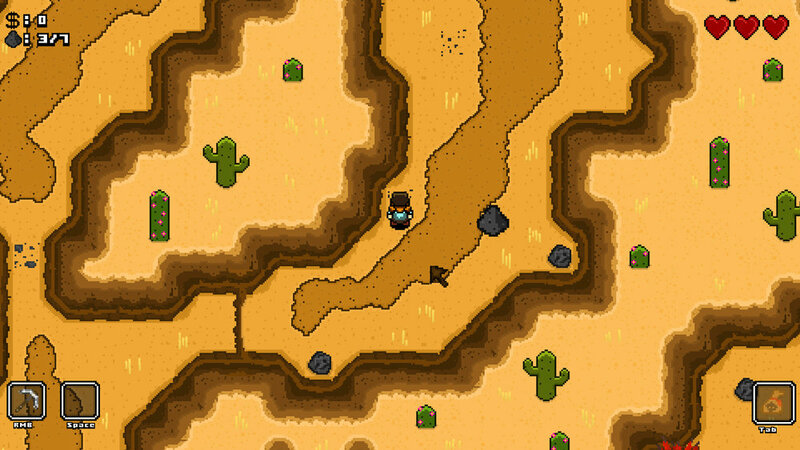 Set in a western inspired landscape the game is about exploring and collecting enough coal continue up the river. If you can survive the perils of the river then nothing can stop you from reaching your goal. The team decided to go for a hub based game of exploration. The hub serving as the focal points and the player venturing out in increasingly difficulty surroundings. Since we aimed to get the entire game into one map this would mean limitation in the level design or problems with backtracking. I pitched the idea of having a movable hub that progressed along with the player getting rid of many of the flaws with a static hub. The idea was well received and evolved into the riverboat setting. The hub contained a player driven progress system and a store with upgrades. The game revolved around progression of the steam boat. 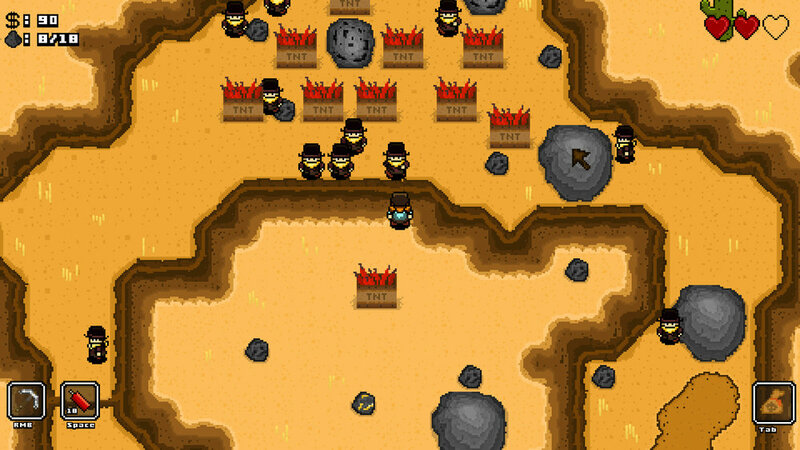 The player had to venture into the wild to collect coal for the burner. With enough coal gathered the player could move the boat to the next area. 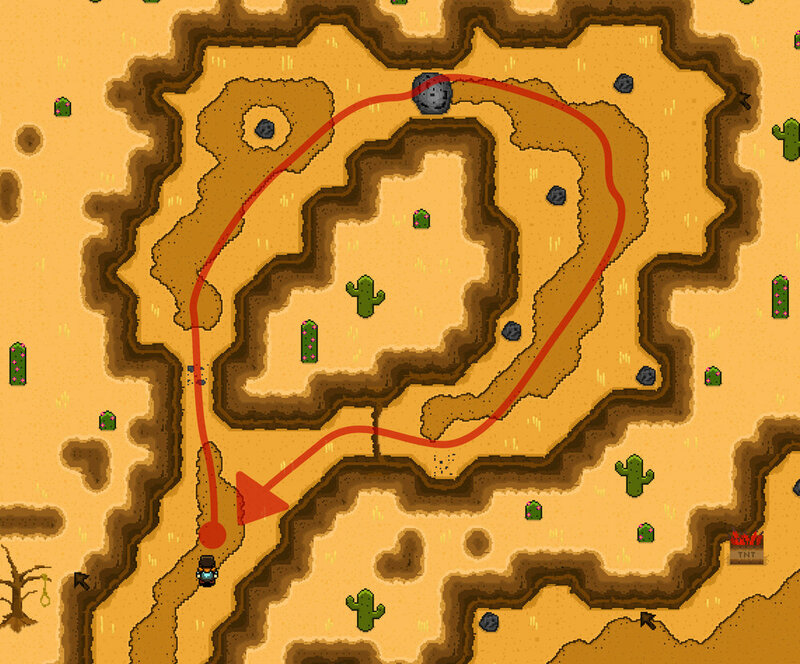 In order to make reduce backtracking I tried to design most of my areas in a circular manner. This way the player would end up in a close proximity to the hub every time it was time to progress. I worked with enemy interaction, player metrics, game economy and other essential parts of the game design. Since all upgrades was bought from the hub we needed the game to be playable regardless of the order the upgrades were made. Since the gameplay of striking rocks with a pickaxe needed something we added a drop to make defeating enemies rewarding. I made the loot drop tables and could control the pace of progress by allowing useables without selling value to drop in favor of other that would destroy the balance. Playtesting showed that throwing dynamite was quite fun and i decided to use needed to get some extra attention. I did this by designed locations that gave the player a elevated position and placed crates of dynamite below mixed in with enemies. 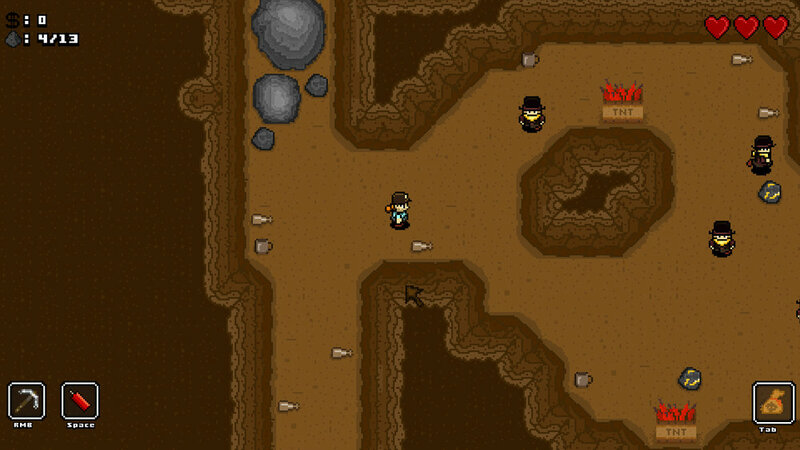 The player could set of chain explosions by throwing a single dynamite down the ledge. Later on i twisted this by putting the player in the same height as the enemies so the player could choose between looting the crates for additional dynamites or go for the big boom. While the game had many strong points and I was quite happy with my leveldesign River Boat's weak spot was the controls. The smoothness when throwing dynamite was not spot on and left a big dent in the otherwise strong dynamite mechanic. Time of course was a factor, but personally, I feel the prioritation was the real issue. There will always be less time than you need and we should have made more extensive playtesting to notice the flawed controls. My main lesson from this game was that you need to focus on the fun parts and make them shine. If you spread to thin there is a risk that the good parts will be clouded by one flawed decision.